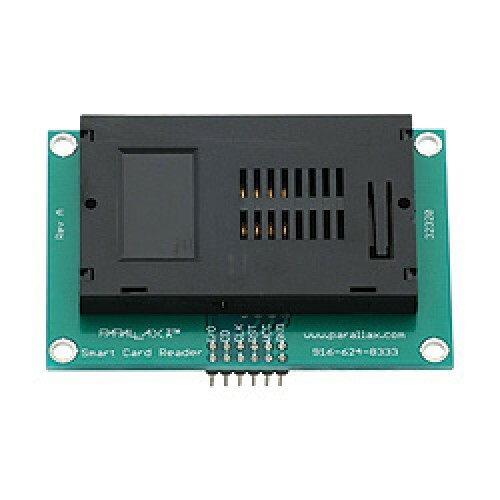 The Smart Card Reader provides a low-cost solution for reading and writing data to contact memory-based smart cards and is compatible with any microcontrollers. Today, smart cards are used in a wide variety of applications from healthcare to personal finance. They are ever-increasing in popularity due to their convenience and security. Generally, smart cards are about the size of a credit card with an embedded IC for storing data. Our Smart Card Reader can be used with the compatible Smart Cards listed below for a variety of applications such as security systems, data storage, tracking systems, and identity authentication.